If you’re in need of some quick relief, you don’t have to make a last-minute appointment at the chiropractors. You can temporarily relieve you pain through at-home chiropractic techniques. If you have an interest in self chiropractic care, you should give these techniques a try. the right stretch should allow you to relieve some of the tension in your neck. If you’re trying to get rid of pain at the sides of your neck, you should try sitting on the floor in a cross-legged position. Place your left hand at the top of your head and slowly tilt your head towards the left. Switch sides and repeat the stretch. If you have pain at the back of your neck, you should place both of your palms behind your head. Press downward, moving your head downwards. Repeat until your neck feels less stiff. 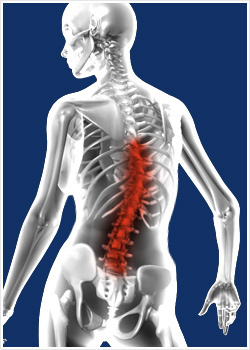 A lot of people choose to come to the chiropractor because they have back pain. If you’re trying to manage your back pain, this stretches could be a big help. In many cases, people have back pain because their pelvis is out of alignment. To fix this, lie flat on your back on the floor. Slowly pull your left leg towards your chest. Hold the leg there for 20 seconds before switching to the other side. If you have lower back pain, you could try a basic cobra stretch. To perform this stretch, lie on your stomach. Use your arms to push the upper half of your body upwards. You may hear your back crack as you perform this stretch. Practicing yoga can also help to relieve back pain. A lot of common yoga poses, such as the cat cow, can relieve pressure on the spine. Daily yoga and regular chiropractic care can make your back pain a thing of the past. Sometimes, people find that their pain is concentrated in their shoulders. If you have shoulder pain, you don’t need a massage. You can get relief yourself by trying these simple shoulder stretches. One of the best shoulder stretches is one you can do at home and at your desk. Lift both of your arms outward and rotate them. As you continue to rotate your arms, you’ll see that your shoulders are a lot less tense. If you can squeeze in five minutes of stretching during the workday, you’ll see a huge difference. You could also try chin retractions. Push your chin and your shoulders forward, then retract them. Repeat until you start to feel some relief. Obviously, self care can’t compete with the care of a regular chiropractor. However, these techniques can be a big help. If you treat yourself in between appointments with a chiropractor at Rocky Hill Chiropractic, you’ll be in great shape. Your aches and pains will be a thing of the past. Learn More At Home Stretches By Clicking Here!